Source: obit of Delores Millers brother publ in South Bend Tribune. s/o Absolom and Elizabeth Ann (WARD) NOTHSTINE of Madison Twp, Pickaway Co. OH. more & larger photos Source: "Brobst/Probst Family History" by William A. Brobst, Kitty Hawk, NC //. and etc. Source: George Zeller on line genealogy data base on Roots Web. Source: Benjamin Dunnuck family bible - in my possession & Omer's sister Ruby. ?? there is a Della Nettie (Mrs. DUMNUCK) obit South Bend Trib Aug 26, 1963 ?? There is supposed to be a Nettie, called Ella that is supposed to be the wife of an Omer (Sr) - I have never gotten this obit. 1910 census Ancestry.com lists a Omer Dummuck age 35 in Peru, Miami Co, IN but was unable to find. Anna had one child - living. Source: T624-371, part 1, page 155A, Ward 5, Peru, Miami County, Indiana, Dist 133. 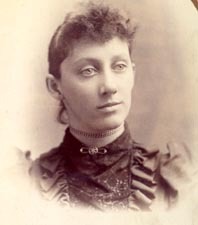 Also in the home was Nellie's brother Thomas J. Moran, age 38 who is separated from his new wife of some months, Elsie Dunnuck, widow of Elvin "Clarence" DUNNUCK. Omer E. age 11 months are both listed as sons. Omer was a foreman at a factory. 2nd ward, Peru, Peru township, Miami County, IN. Series T625, Roll 441, book 1. Dau of John and Catherine (McGrath) MORAN who were both born in County Kerry Ireland. At this point it gets confusing. Which child belongs to which marriage? She was married four times. Nellie's 1st husband was LeRoy Holand. They had daughter was, Agnes Helen Holand born May 12, 1912 and in 1920 & 1930 censuses Agnes is listed with Nellie & Omer, called step-dau. My original information had Milton & Gladys as sister and brother and being the children of Mr. Holand, but that may be wrong. I now believe them to be children of Wiegelman. Milton b. 1914 took the name DUNNUCK as have Milton's sons. Agnes and Milton were both born in Florida. Milton was born about 1915 and in the 1930 census his father is listed as born in IN. In that same census,Agnes was born about 1912 or 1913, also in FL, but lists her father as born in FL. Nellie # 4th "husband" (?) was a MOORE (but her California death certificate gives her surname as DUNNUCK) Perhaps she did not wed Moore. 1944, 1946, 1948 Nellie Dunnuck still voting under the name Dunnuck in Los Angeles Co. CA..
Nellie Helen DUNNUCK ( maiden name MORAN) b. Nov. 19, 1887 in PA, d. Jan 22, 1980 in Los Angeles CA. Source: California Department of Health & ...vital statistics. s/o Omar & Nellie (MORAN) #1 Holland #2 Wiegleman #3 DUNNUCK #4 Moore. 1948 Bonnie DUNNUCK was a waitress in Muncie, IN. They lived at 1723 E. 20th. Omer was a helper at CIGCo. Source: of desc of Nellie and first husband Denise Williams // Middle inital from 1920 census. m. #2 Mercy A. ANGELMYRE // ANGLEMEYER Nov. 7, 1908, Kosciusko Co. IN. 1920 Census, Orin C. is living with brother Victor A. in South Bend. listed age 43, widower. Bessie Mellott's sister Rose Estelle Mellot and her husband Charles Hepler lived on the "Dunnuck Farm" on Grape Road for 21 years. 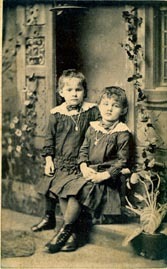 (Rose was b. Sept 18, 1880.. Charles was b. April 6, 1899 in Marchall Co. IN. He died in 1959 when he fell into a fire and could not get up (burning fence rows) Source: Maxine Kuhn's "Descendants of Michael Hepler"
b. ca 1880 age 5 months in the 1880 census Napoleon, Henry County, Ohio. Graduate of Riley High School - I'm guessing that he graduated ca 1947 based on information on other info found on the page. Served in the Army - see Tribune notes Dec. 19, 1950. Wonder if this is the same or different article as the clipping above..